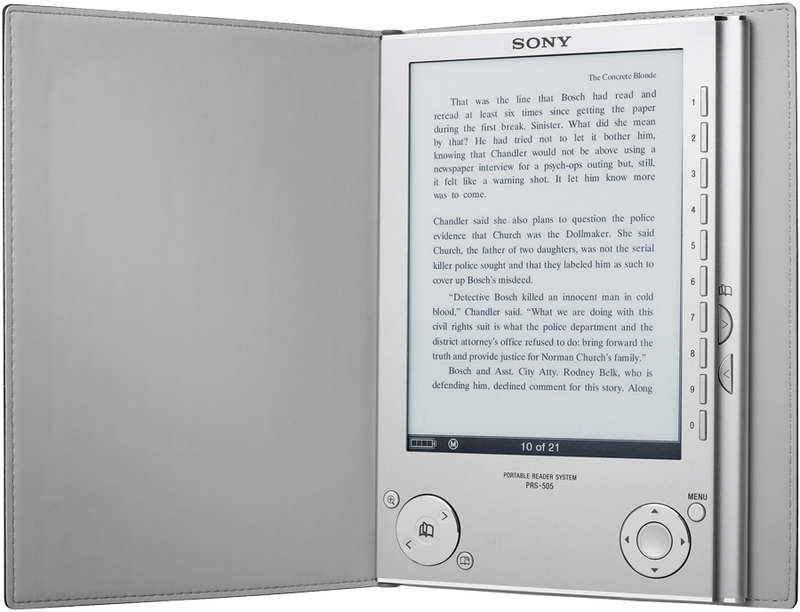 Sony just released a new version of their electronic “Reader” (PRS-505) as an upgrade to the PRS-500. First off for those of you that don’t know what this gizmo is, it’s a electronic paper display. This means that it actually looks like ink on paper and doesn’t cause stress on eyes as backlit LCD screens do. Sony’s second generation Reader has new controls, imitates paper better than its predecessor, responds faster, and is much easier to read outdoors. Unlike other gadgets with displays, the Reader doesn’t consume any power when it is on. It only looses power when flipping through pages. 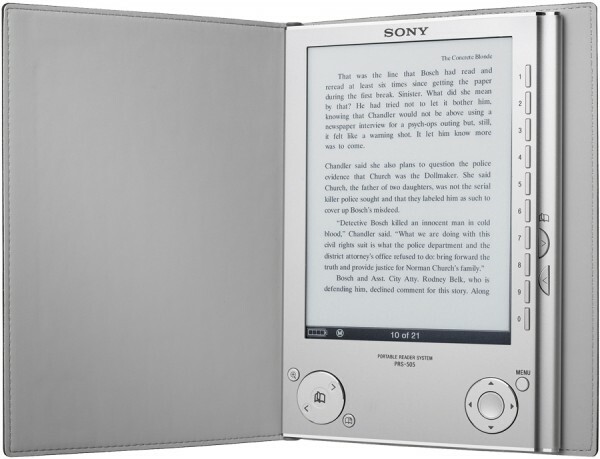 According to Sony you’ll be able to read approximately 7,500 pages before the juice runs out. The Reader now also sports a Memory Stick Duo and SD card slots for additional storage space and also functions as a mass storage device. Owners can transfer purchased books from Sony’s collection of 20,000 titles or copy their own PDF, Word, RTF, Text, or JPEG files. For easier reading the Reader can be oriented in either the upright or landscape position on the 6-inch display. Text can also be magnified by up to three times. The previous Reader wasn’t too popular, but was quite impressive despite being laggy when we took a look at it. Hopefully this version will bring many more improvements. The reader is a bit on the pricey end, costing about $300 for the unit in addition to a USB cable, soft case, and charger. The unit is on sale now and will be available in both silver and dark blue by the end of this month. Look for it online, in retail stores, and even at Borders. We are trying to get a hold of a unit, so if you are interested check back for full in-depth review.